With the new year, brings new resolutions, new adventures, and new challenges! So, I thought there would be no better time to talk about NEW-borns! In this post, I’m going to go over some of the most basic things you can do to have a Montessori baby. Montessori can be overwhelming, especially for a new parent! That’s why I’ve decided to do the research for you and find the best Montessori Baby articles to get you started! As you ease into your new role as a parent you may find you follow a more natural parenting style. Maria Montessori was ahead of her time and known to promote “ecological responsibility, love of nature, and healthy living” as well as natural parenting. You can read more about Montessori and natural parenting here. As you may know, newborns aren’t too active until a few months old but that doesn’t mean they aren’t ready for some activities to help their skills develop! Montessori suggests starting out with a sequence of mobiles to get your child’s skills developing. You can learn more about Montessori mobiles and what order to use them in here. You can also start to gather some materials that your baby will soon enjoy. You won’t want to overwhelm your baby with too many loud or flashy toys. Knowing which materials are age appropriate will help keep your child concentrating on each material for longer. This video has a great list of recommended materials for your Montessori baby. 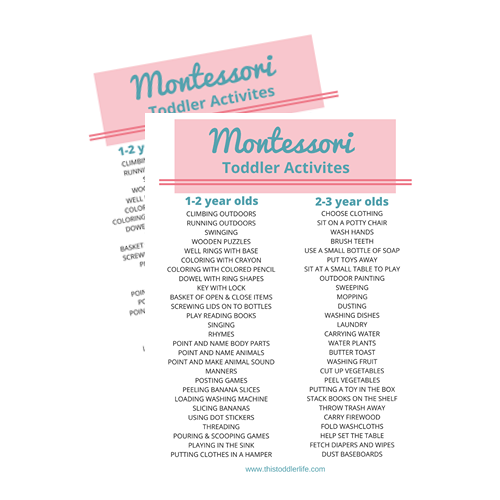 You can also find a more comprehensive list of Montessori baby materials as well as activities to do with your baby here. Maria Montessori suggests each material to compliment a child’s sensitive periods. These are developmental periods in which a child is most likely to develop a certain skill or interest. Micheal Olaf has a great article about Montessori developmental stages for the first year. He goes over everything from birth to age one here. Now that you know what sorts of materials your Montessori baby will be interested in, you’ll need to know how to set them up in your home. Montessori promotes a prepared environment so that you can follow your child’s lead. Learn how to set up your home for a baby here and how to prepare the baby’s room here. The one overlying Montessori principle that continues throughout a child’s life is “follow the child’s lead”. Starting from birth you should always be following your child’s lead. 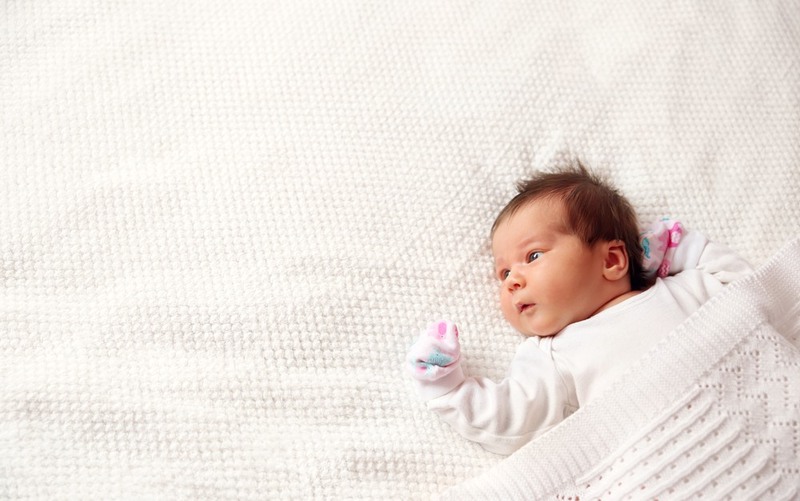 Finding a routine and following your baby’s sleep habits is of great importance. You can learn more about baby routines and sleep here. If you’re ready to dive into Montessori and want to get step by step guidance along the way, join us in The Montessori Learning Center! Click here to become a member of The Montessori Learning Center.